Did you do anything special for National Quilting Day on the 19th? I hope you saw the quilt I posted. It is beautiful! If you did a lot of sewing, did you change your needle? How do you know when you need to? It is suggested about every 8 hours. I’m not good at keeping track but when I hear a popping sound, I know it is time. #1 -Change your sewing machine need every 8 hours or so. On National Quilting Day, I spent some time piecing and then went to the Harlem Globetrotters. I haven’t seen them since I was a little girl. What an amazing fun evening! Speaking of basketballs, it is March Madness and I haven’t been following. Have you? What about Spring Training for baseball. Being a KC Royals fan, I’m excited for the boys in blue! We also root for the Cubbies…it is going to be an interesting season!!! With all this talk about basketballs and baseballs, how do you cut circles? I love CIRCLES! 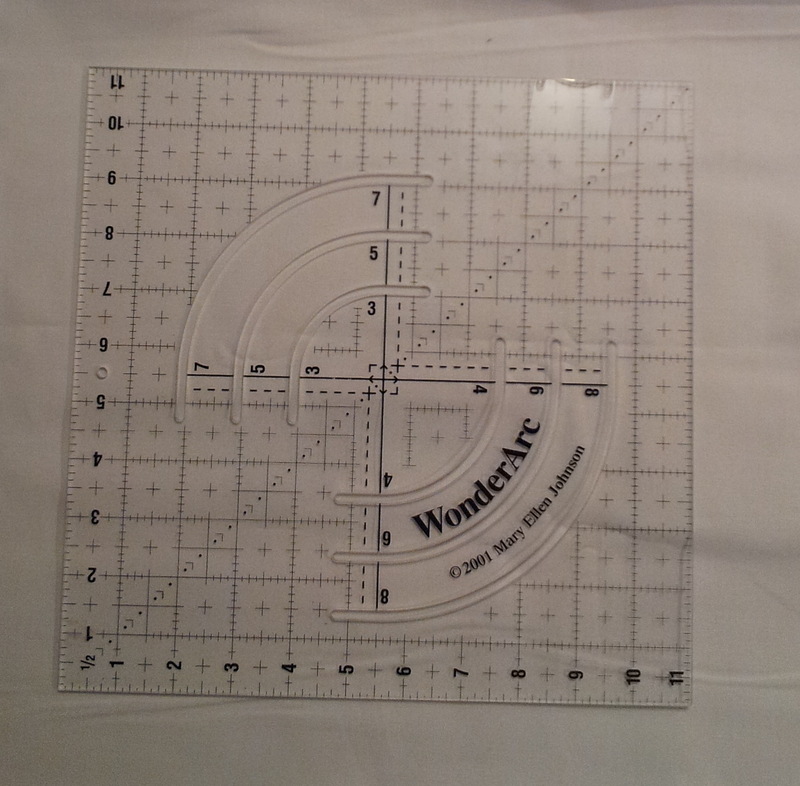 The first circle cutting ruler I found years ago is the WonderArc by Mary Ellen Johnson. You can rotary cut using the slots or draw a line and cut with scissors. #2 – Use a small rotary 28mm or smaller when cutting curves. 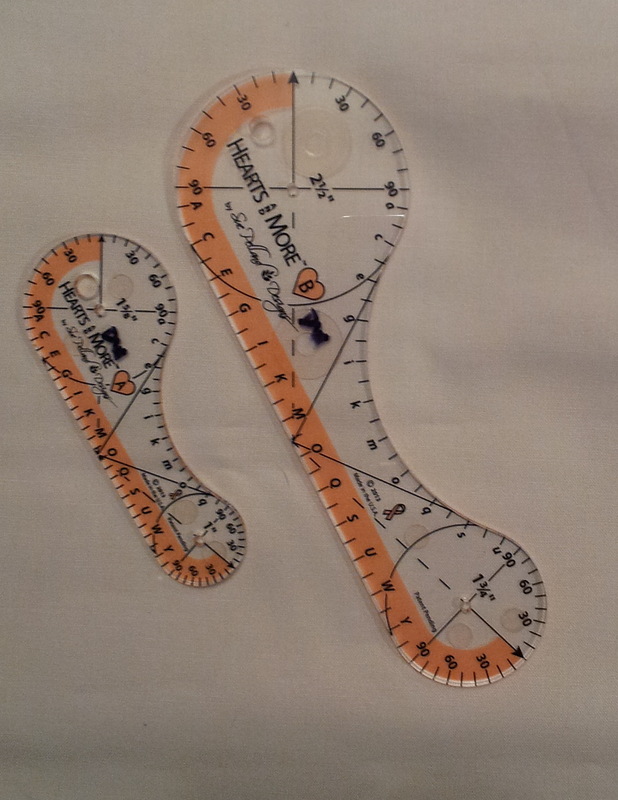 Another ruler…rulers for cutting circles (and other shapes) is Sue Pelland’s Hearts and More. 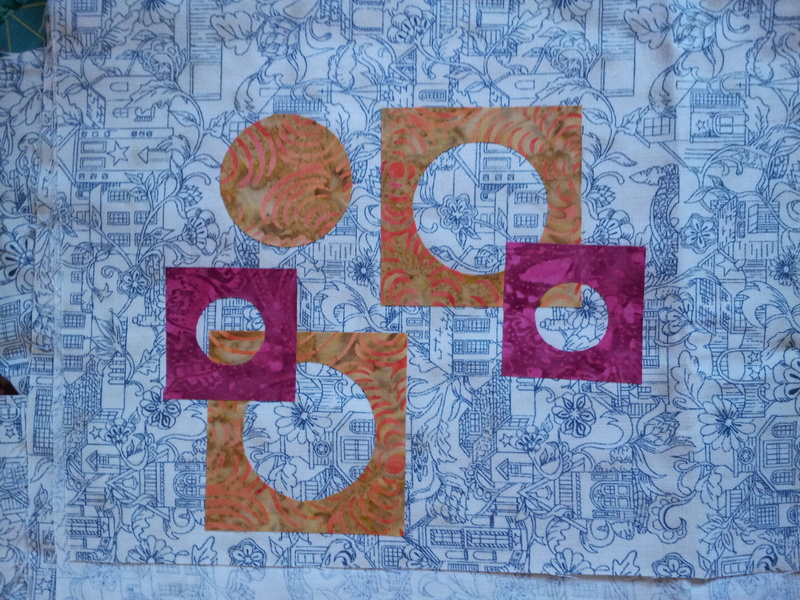 The photo is some shapes I made in a workshop I took from Sue. The two smaller sizes are shown below. 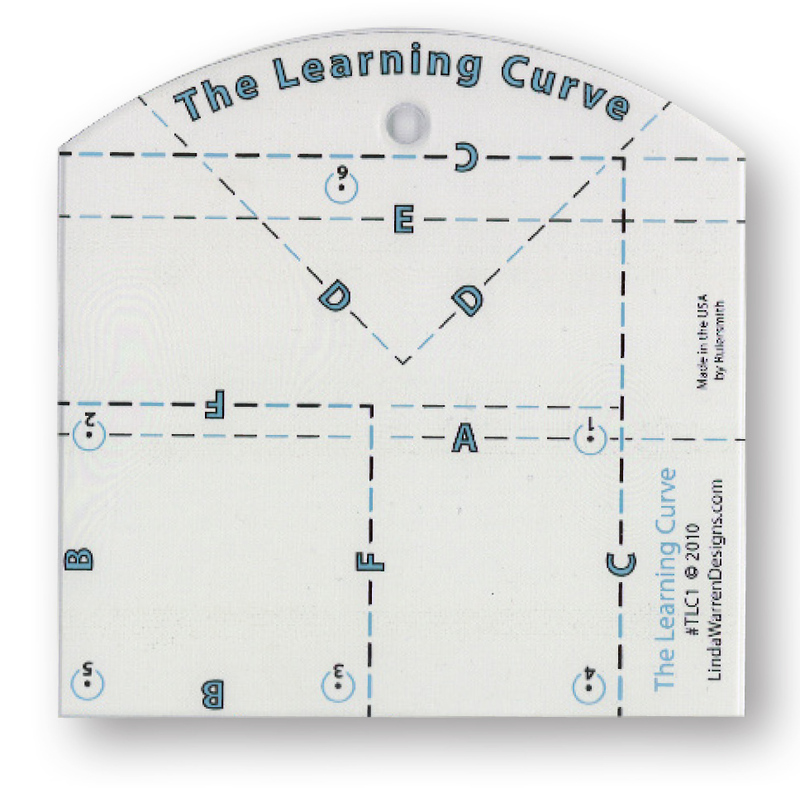 Another of my favorites is the Learning Curve by Linda Warren. All the rulers I’ve mentioned have a lot of different designs that can be made with them. Enjoy exploring! This entry was posted in Circles, Sewing Machine Maintance, Tips, Uncategorized. Bookmark the permalink.